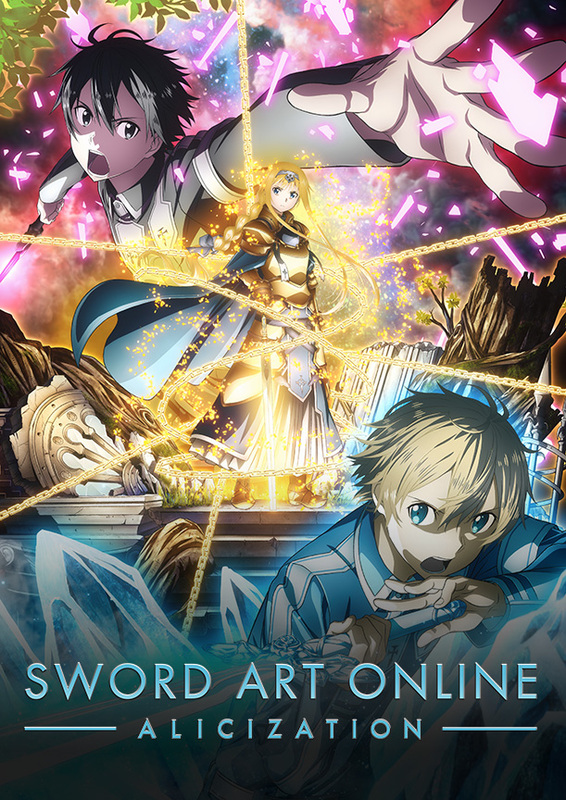 The Sword Art Online: Alicization official website is streaming a new promotional video for the upcoming TV anime. The video includes some new footage and has previews of the opening and ending themes of the show. The opening theme song is “ADAMAS” by LiSA and the ending theme song is “Iris” by Eir Aoi. You can check out an English-subbed version of the trailer below. AnimeLab provided the English-subbed trailer. The show will air on October 9 on TV Aichi. The staff for the anime have also revealed that the series will air for four cours or four quarters of a year. It is not known if the anime will air for four consecutive cours. The anime will have an hour long 1st episode which will have a world premiere in seven countries. The US premiere will be held on September 15 at the The Montalbán in Los Angeles, CA. Tickets are still available for the event and you can purchase theme HERE. Sword Art Online: Alicization will adapt the entirety of the “Alicization” arc featured in the light novels. Are you ready for more adventures with Kirito?